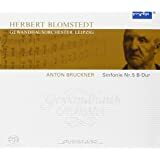 The Sixth Symphony of Anton Bruckner was composed between 1879 and 1881, and was dedicated to his landlord and his wife. It is the only one of his symphonies that the composer did not extensively revise. Bruckner thought his Sixth was his boldest symphony, terming it somewhat reckless or impetuous. The music is close to the Linz version of the First Symphony that Bruckner nickname "das kecke Beserl" ("saucy maid"). Critics, however, have considered it the ugly duckling of Bruckner’s works, and it was not regularly performed. Time has changed opinions and the Sixth is seen as rich in melodies, some sounding cinematic in character) with an imaginative orchestration. 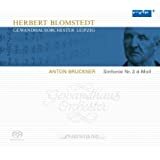 The first movement is uncharacteristic of Bruckner in that it sets off at a gallop instead of the usual quiet tremolo opening of the strings, and the opening marking “Majestoso” (majestic, august, or kingly) instead of the more conventional "Maestoso." The performance by the Netherlands Radio Philharmonic Orchestra, conducted by Jaap van Zweden, is a great reading of the score. The first movement is simply majestic; the Adagio is movingly expressive while the Scherzo is ebullient and full of playful energy. The Finale is difficult to bring off due to the wildly contrasting melodies. Jaap van Zweden manages to find the perfect tempi for the abrupt switches coming up with a thrilling Finale. This is certainly one of the top recordings of the Sixth. I did not have issues with the recorded sound but that may be because I listen with headphones. 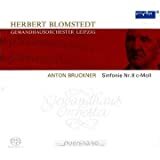 This is a recording that anyone interested in Bruckner’s music should have in their library. My initial impression of this was good, and I think it's a fine performance. 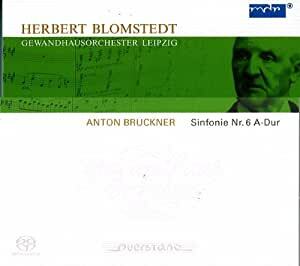 But I remembered having been drawn to other Bruckner 6ths in my collection, and for the sake of comparison, I followed Zweden's recording with Chailly's Concertgebouw reading. I thought I would be bored hearing the same symphony twice, but the opposite happened: I was drawn in by Chailly's clear lines, gracious shaping of phrases, and smart handling of tempo. And the sweet-toned, characterful playing of the oboist, among others, revealed the more secure control of the Concertgebouw Orchestra compared with Zweden's Netherlands symphony. 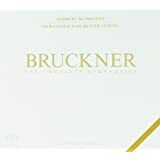 In the first movement, Chailly reveals a bit more of the spaciousness and mystery we're used to hearing in Bruckner, contrasting these elements effectively with its surprisingly powerful rhythms. In the second, Zweden's slower speeds prevent him from achieving the same level of graceful melodicism that is brought out by Chailly's more flowing tempo. Chailly draws the contrasts in this music more clearly throughout, it seems to me. Zweden's recorded sound seems quite close up to me, and in fact the warm and present sound is one of the main attractions here. As Sante Fe Listener astutely observed, some of the "small notes"--the eighths and sixteenths--get lost in the tuttis; I assumed this was a problem with the orchestra, though it's possible the recording may contribute in some way. But again, Chailly's recording lets you hear everything. In short, at first acquaintance, this seems less successful than some other Bruckner 6ths I've heard, and less successful than Zweden's 3rd. Other Bruckner 6ths that would make my five-star list, displaying attributes similar to Chailly's, would be Sawallisch, on Orfeo, and Skrowaczewski; I also have an Eschenbach recording (I'm not sure which of his it is) that I recall was quite good, but I haven't heard it lately. Recording, as expected, is wonderful. A technical note though: If you are buying the Hybrid SACD, people looking to download this music to iTunes should be aware that current hardware/software configurations do not allow for adding this disk. I had to use an old Mac running an old OS to even see the disk before copying the tunes to a thumb drive and then copying those files to my current machine. Jaap van Zweden's ongoing Bruckner cycle has gained little traction, in the U.S. at least, which means that listeners are missing a conductor whose sympathy for Bruckner runs deep. Zweden has a affinity for string sound, being himself a gifted violinist (at nineteen, he became the Royal Concertgebouw's youngest concertmaster before giving p the job to become a full-time conductor), and it's immediately notable that the long lines of the Adagio in this new Bruckner Sixth are always espessivo. It's a style I associate, among modern conductors, with Giulini, another string player and ardent Brucknerian. We're past the day when the Sixth was looked down upon as an unsuccessful work with one great movement, the Adagio, which at 18 min. forms almost a third of the symphony (the overall timing here is 57 min.) 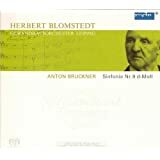 Zweden finds a wide variety of expression in the slow movement - Klemperer, whose Bruckner Sixth was the standard recommendation for decades, is actually 4 min. faster. Celibidache from Munich (EMI) extends this movement to 22 min. and succeeds on his own terms. The Scherzo is quick and ebullient, with vibrant brass attacks. It's a bracing contrast to the slow movement (in some other performances, the Adagio continues to cast a mood over the Scherzo). The hunting horn calls in the Trio sound as if they are in excited pursuit. The episodic finale displays a convincing balance between making each episode stand on its own and knitting them together with forward momentum and rising-falling dynamics.